Can be worn as a sweater or a dress. 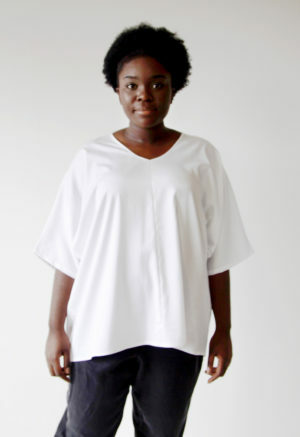 Features front pockets, a sash, and balloon sleeves. 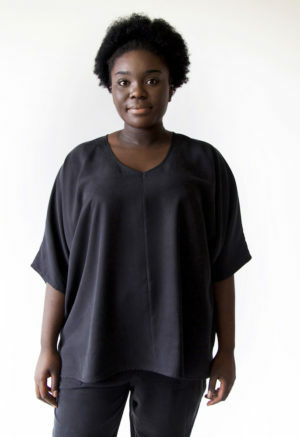 Size up for a longer tunic/dress.